One of the most amazing bassists and composers in jazz today, Charnett Moffett (named for his father, drummer Charles Moffett; and Charles’ old bandmate and classmate Ornette Coleman, with whom Charnett eventually gigged), brings his NeTTWorK band, featuring guitarist Stanley Jordan, drummer Jeff “Tain” Watts, and saxophonist Pharaoh Sanders, to Jazz Alley, February 19th through the 22nd. Moffett took some questions over email. Seattle Star: How did you first hear Stanley Jordan, and what were your first impressions of his playing? Charnett Moffett: The first time I really got a chance to hear Stanley perform was when he was the opening act for one of the tours I did with Wynton Marsalis’ quintet. I was a member of Wynton’s band from 1983-1986. I was just 16 years of age at that time I started with Wynton. Stanley and I would hang out after the shows and talk about how we enjoyed listening and performing all kinds of music. Seattle Star: How did you meet Mr. Jordan and begin playing with him? Charnett Moffett: I first met Mr. Jordan in the mid ’70s. He attended one of the shows I was doing with my father’s Moffett Family Band in the Bay area where I was living at the time. The Moffett Family band was very active at that time performing throughout the Bay Area. I did my first recording at Half Moon Bay in 1975. I can remember when we were the opening act and a part of several festivals in the Bay Area. It was an incredible experience to participate on festivals where I got to meet artist like B.B. King and be the opening act for Ramsey Lewis, Earth, Wind, Fire, and Bill Cosby and many others. Seattle Star: Mr. Jordan’s tapping technique is revolutionary. Have you had to use any specialized techniques yourself, to play alongside him? Charnett Moffett: Over the years of playing with Stanley, my approach has been the same as working with McCoy or Ornette. It’s all about listening to the music. Each artist brings something different to the music. It’s all about the improvisational idea that is being expressed. So one has to listen to what is being played while expressing their artistic idea simultaneously. The sound of the bass is the root of all music, so the possibilities to create new techniques are inspired by the creative idea that one is listening to. 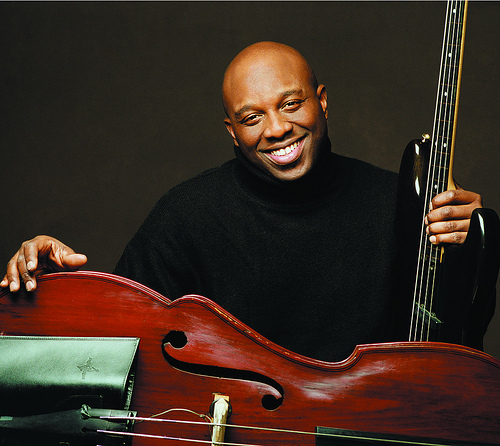 Seattle Star: Will you be performing on electric bass, upright bass, or both? What are the major differences between the two instruments? What does each instrument teach you about the other? Charnett Moffett: For me it’s not important which instrument I am performing on as long as the creative idea I am sharing with the audience is heard. The bass is a tool or a machine. It is the heart and brain that gives it the musical life though touch. Each instrument has taught me that. Seattle Star: What is the group’s standard repertoire, and how did the members go about choosing it? Charnett Moffett: The music of NeTTWorK focuses on my compositional concepts which allows me to play any position base on the creative idea. I learned that from all the years of my time spent with Ornette Coleman. So the repertoire can change from moment to moment depending on which compositional concept I am using. That’s what’s so exciting about playing all styles of jazz. Improvisation is very much a part of the American art form. Seattle Star: How did Mr. Watts and Mr. Sanders come into the project? How has working with them changed you? Charnett Moffett: As artists we are all influencing each other in some way or another. Mr. Watts and I go back to our years with Wynton [Marsalis]. He was one of the drummers that helped me promote my critically acclaimed Planet Home compact disc back in 1994 Mr. Watts is an innovator. He has influence so many of our young drummers today. He is also one of the most diverse musicians I have ever worked with. I have had the honor of working with Mr. Sanders on many occasions. Two of my favorite recordings with Pharoah are Message From Home, and Sonny Sharrock’s Ask the Ages which features Elvin Jones. As a composer your always putting sounds together that will allow you to tell your story correctly. Since I have been so fortunate to supported so many different kinds of artist over a life time, being in the center makes it easier to select the right sound that fits the compositional piece. Working with great artists has inspired me to continue to compose new music. Seattle Star: What are your plans for the future, both with and without this band? Charnett Moffett: My plans for the future is to continue to NeTTWorK.